Today, I am sharing with you a great recipe that could be served in any upscale restaurant. Finally, you can enjoy cream sauces in the comfort of your own home. 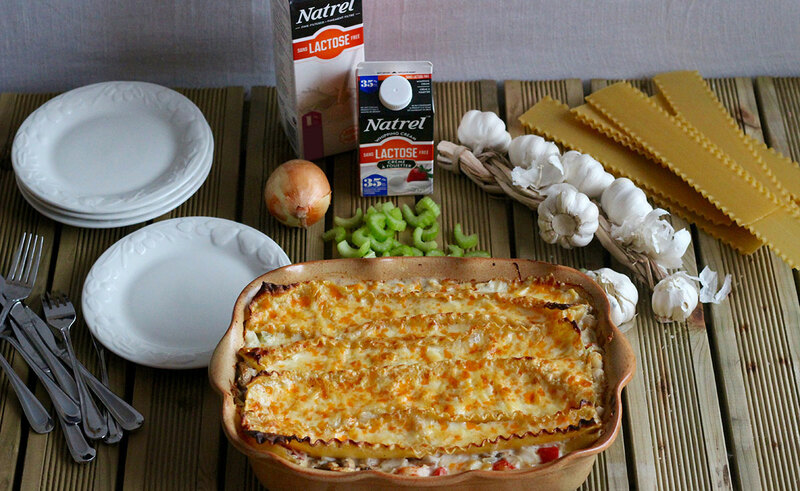 One taste of this lactose free seafood lasagna and you’ll also develop a weakness for creamy sauces. Yes, seafood is expensive, but I guarantee you that this recipe is worth it! Cross my heart! Preheat the oven to 400°F (200°C). In a large pot, cook the lasagna sheets according to the instructions on the package. Drain and set aside. While the pasta is cooking, mix together the scallops, shrimp, pollock, onion, garlic, chicken broth, celery, pepper, mushrooms and lemon juice in a large pot. Bring to a boil and cook on medium heat for about 5 minutes or until the shrimp begin to turn pink. Season with salt and pepper. Remove from the heat. 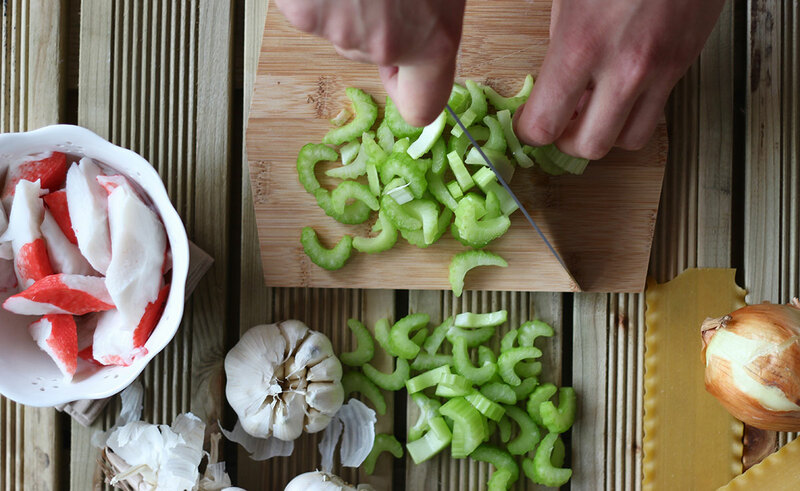 Place a strainer over a bowl. Drain the seafood mixture, reserving 1 cup (250 ml) of the cooking liquid. Set aside. Mix the cornstarch with a little water. In the pot used to cook the seafood, add the Natrel Lactose Free 1% and cream. Bring to a boil. Add the reserved cooking liquid, stirring constantly. Add the cornstarch mixture and continue stirring until the sauce thickens. Add the thyme. Season with salt and pepper. Add the seafood, stirring well. 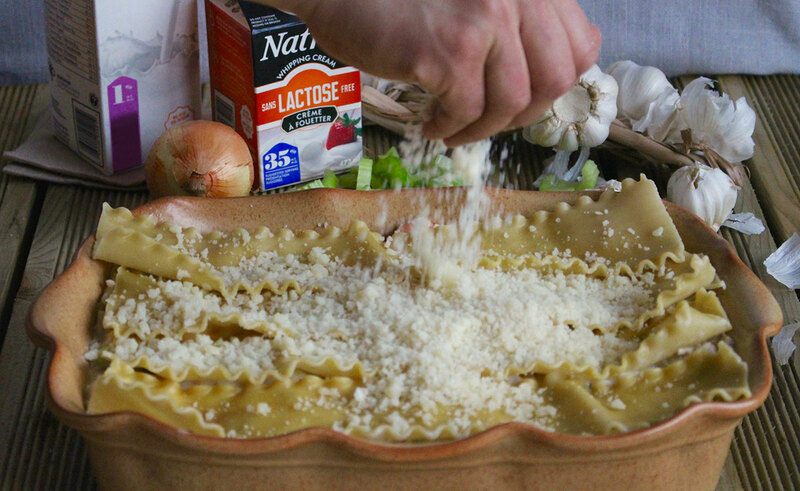 Cover the bottom of a 13” x 9” (33 x 23 cm) rectangular dish with 4 lasagna sheets. Cover with half of the sauce and then half of the cheese. Make another layer with 4 lasagna sheets. Spread the remaining sauce over it. Cover with the remaining sheets. Finish with the remaining cheese. Cook in the oven for about 15 minutes. Turn the oven to broil and cook for 2 minutes more. Enjoy!